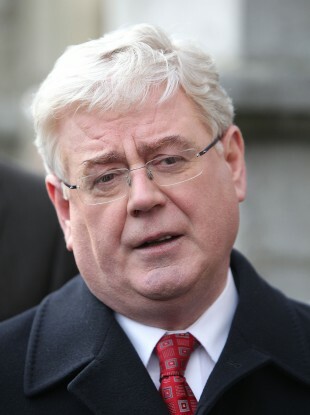 TÁNAISTE EAMON GILMORE has sought to reassure members of the Labour Party in an email distributed earlier this evening. The email comes after a difficult few weeks for the junior coalition partner following the result in the Meath East by-election where it secured less than five per cent of the vote. In the aftermath of that result questions have arisen about Gilmore’s leadership but he has defended the party’s performance in government. The email twice links to piece from former Dublin TD Derek McDowell in the Irish Times earlier this week while the Tánaiste also says that the current Dáil recess “has given us time to take stock of where Labour is as a party of government”. Gilmore tells members that he has spoken to individual party members around the country as well as parliamentary colleagues and found the feedback “very instructive”. Under a section entitled ‘Stabilising the chaos’ the Tánaiste says that Labour has been “putting the country first by bringing Ireland from a state of economic chaos to stability”. Gilmore says he is “very optimistic” that his trade mission to Turkey this week will result in jobs in Ireland and also says he was “delighted” to hear that the pharmaceutical company Novartis announced the creation of 100 jobs this week. “This Party has been putting the country first by getting our people back to work and dealing with the unemployment crisis,” he says adding that in the last year private sector employment grew by over 12,000. Email “Gilmore hits out at 'relentless criticism from the commentariat'”. Feedback on “Gilmore hits out at 'relentless criticism from the commentariat'”.